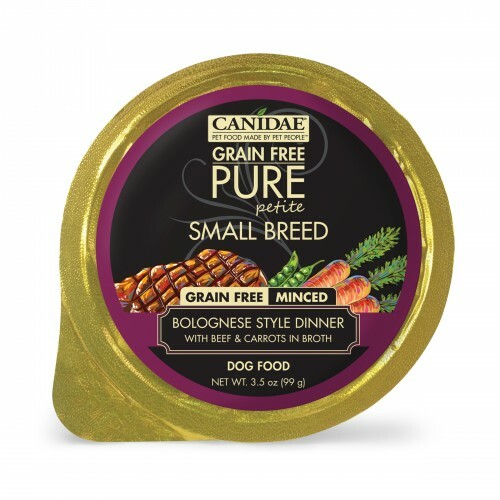 Our CANIDAE® Grain Free PURE Petite® Small Breed Dog Cup Bolognese Style Dinner Minced with Beef & Carrots uses simple, limited ingredient recipes for sensitive small dogs. Your pampered pooch will enjoy choosing from a menu of deliciously prepared dishes. And you’ll enjoy indulging your petite companion knowing that each portion is filled with great tasting, premium nutrition.